It is incredibly important to keep the sink drains, shower drains, tub drains, and toilet drains clean and free of debris at your residential, commercial, and industrial properties. This is easier said than done as the fact is that there are materials that go down the drains on a daily basis that clog the system. For example, hair, shampoo residue, soap scum, food grease, and food particles to name a few are constantly being washed down the drain along with the wastewater. Particles from these items tend to stick to the interior surfaces of the drainpipes. If left untreated these particles build up over time until the point that they form damage causing blockages in the sewer system. The results of this are unpleasant, to say the least. At first, the drains will work slower than usual until the point that they stop working altogether. At this point water in the kitchen, bathroom, and utility sinks, along with the shower and tub will begin overflow. As if that is not bad enough, unfortunately, it can get far worse. The drainpipes connect directly to the sewer pipes. If the blockages impacting you internal plumbing travel down the pipes they can lead to clogs in the sewer pipe that takes raw sewage, wastewater, and waste materials out to the mainline under the street. That may then back up into the drainpipes. From there it travels to the toilets, sink drains, shower drains, and tub drains. In essence, moving in reverse. Instead of reaching its intended destination, which is the city or town’s main sewer line or a septic tank buried somewhere on the property, the raw sewage, wastewater, and waste materials end up flooding the interior of your home, place of business, or investment property. Since the solids and fluids are full of bacteria, infectious diseases, and other dangerous elements, exposure to it should be avoided by both humans and pets. If it comes into contact with skin, or the fumes are inhaled than you, your loved ones, employees, or tenants may end up getting extremely sick. A professional drain cleaning certainly goes a long way in helping you to steer clear of that dangerous, unpleasant, and expensive mess. The task should only be performed by a professional company that has the expertise and proper equipment and tools. 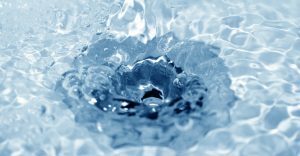 Otherwise, you are taking the unnecessary risk of doing extensive damage to the drainpipes, sewer pipes, and plumbing fixtures such as the toilets, sinks, showers, and tubs. A professional drain cleaning service in the St. Peters, Missouri area is affordable, non-invasive, and protects the plumbing system from some of the potential sewer related disasters as listed above. You should give some serious consideration to adding it to your preventative property maintenance schedule. Nu Flow Technologies is your number one drain cleaning source in the St. Peters, Missouri area. We are extremely proud of the fact that our company has been in business since 1998, and have served a plethora of customers with the highest level of service possible. If you would like to schedule an appointment with one of our dedicated technicians than please contact our office so we can get things started.